Pillay noted that since July 7, Israel has launched 2,100 air strikes on the densely-populated slum that the occupation has turned Gaza into. Hundreds of civilian homes have been destroyed and 140,000 people have been displaced and made homeless. She also complained about Hamas’s indiscriminate rocket fire on civilian population centers, which is a war crime. But her list of Israeli violations of Human Rights law and obligations is much longer. She complained that Israel is not giving people — especially the elderly and the challenged — time to properly evacuate their homes once Israel had made clear it will bomb them. She instances Israeli shelling of an old person’s home, of a hospital, and of a facility for the handicapped as some of the cases that point to the commission of war crimes and even crimes against humanity. The situation in the occupied Gaza Strip is critical for the civilians living there and requires your urgent attention. Since Israel announced its military operation “Protective Edge” on 7 July, Gaza has been subjected to daily intensive bombardment from the air, land and sea, employing well over 2,100 air strikes alone. The hostilities have resulted in the deaths of more than 600 Palestinians, including at least 147 children and 74 women. This is the third serious escalation of hostilities in my six years as High Commissioner. As we saw during the two previous crises in 2009 and 2012, it is innocent civilians in the Gaza Strip, including children, women, the elderly and persons with disabilities, who are suffering the most. According to preliminary UN figures, around 74 percent of those killed so far were civilians, and thousands more have been injured. Those numbers have climbed dramatically since Israel’s ground operations began on 17 July. Hundreds of homes and other civilian buildings, such as schools, have been destroyed or severely damaged in Gaza, and more than 140,000 Palestinians have been displaced as a result. 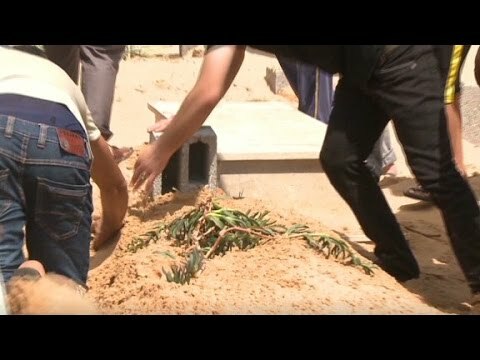 Two Israeli civilians have also lost their lives and between 17 and 32 others have been reported injured as a result of rockets and other projectiles fired from Gaza, and 27 Israeli soldiers have been killed during military operations in Gaza. As we speak, the indiscriminate firing by Hamas and other armed groups of more than 2,900 rockets, as well as mortars, from Gaza continues to endanger the lives of civilians in Israel. I have repeatedly condemned such indiscriminate attacks in the past. I do so again today. I further emphasise that it is unacceptable to locate military assets in densely populated areas or to launch attacks from such areas. However, international law is clear: the actions of one party do not absolve the other party of the need to respect its obligations under international law. Civilian homes are not legitimate targets unless they are being used for, or contribute to, military purposes at the time in question. In case of doubt, civilian homes are presumed not to be legitimate targets. Even where a home is identified as being used for military purposes, any attack must be proportionate, offer a definite military advantage in the prevailing circumstances at the time, and precautions must be taken. I unequivocally reiterate to all actors in this conflict that civilians must not be targeted. It is imperative that Israel, Hamas and all Palestinian armed groups strictly abide by applicable norms of international humanitarian law and international human rights law. This entails applying the principles of distinction between civilians and combatants and between civilian objects and military objectives; proportionality; and precautions in attack. Respect for the right to life of civilians, including children, should be a foremost consideration. Not abiding by these principles may amount to war crimes and crimes against humanity. Israel has stated that it has alerted Gazans before conducting strikes, including by using telephones, text messages and so-called warning “roof knocks,” using relatively light munitions. Even if Israel has attempted to warn civilians to, for example, leave their homes or conducted an evacuation before an attack, this does not release Israel from its obligations under international humanitarian law. Any warning for civilians must meet with the requirements of international law, including that this warning be clear, credible and allows sufficient time for people to react to it. A number of incidents, along with the high number of civilian deaths, belies the claim that all necessary precautions are being taken to protect civilian lives. Roof-knocking itself is costing lives, with one projectile – apparently delivered from a drone – reported to have pierced a 20-centimetre concrete roof, killing three children. People – particularly the elderly, sick and those with disabilities – are not given sufficient time to scramble out of their homes. When they do manage to run out into the street, there is nowhere to hide and no way of knowing where the next shell or missile will land. The disregard for international humanitarian law and for the right to life, was shockingly evident for all to see in the apparent targeting on 16 July of seven children playing on a Gaza beach. Credible reports gathered by my Office in Gaza indicate that the children were hit first by an Israeli air-strike, and then by naval shelling. All seven were hit. Four of them, – aged between 9 and 11, from the same Bakr family – were killed. These children were clearly civilians taking no part in hostilities. The following day, three more children were killed and two others wounded, reportedly by a drone missile, in the Al-Sabra area of Gaza city while they were playing on the roof of their home as their parents prepared the daily Ramadan iftar meal. These are only a few of the cases in which a total of 147 children have been killed in Gaza over the past 16 days. They had a right to life just like children in any other country. Their killings raise concerns about respect for the principles of distinction, proportionality and precautions in attack. Israeli children, and their parents and other civilians, also have a right to live without the constant fear that a rocket fired from Gaza may land on their houses or their schools, killing or injuring them. Once again, the principles of distinction and precaution are clearly not being observed during such indiscriminate attacks on civilian areas by Hamas and other armed Palestinian groups. On 13 July, an Israeli strike reportedly killed two women in wheelchairs and injured four other patients in a centre for persons with disabilities in Beit Lahiya. In the area of al-Shuja’iya, the full extent of casualties and damage to property is still unclear due to the continuous military ground offensive. Based on preliminary information gathered by my office in Gaza, on 20 July, a house was hit by several artillery shells at 6:00 a.m., killing seven members of a single family (including four women and two children) and one neighbour, who had sought refuge in the house. Another five family members, including three children, were injured. In another case, five people were still missing as of 21 July, in a house targeted in an airstrike, and are believed to be buried under the rubble. My staff are continuing to document several other cases, in which family residences were destroyed with reported loss of civilian life, and in which preliminary indications suggest not even a single member of an armed group was present. Then, just two days ago, on 21 July, shells hit the Al-Aqsa Hospital in Deir al-Balah reportedly killing at least three people and wounding dozens of others, including doctors. The current conflict and destruction comes at a time when Gaza is still recovering from repeated escalations of hostilities with Israel. The crippling effects of the Israeli blockade and other measures linked to the Israeli occupation of Gaza suppress the ability of the people to go about their daily lives and prevent them from rebuilding their lives and communities after repeated military operations. I reiterate my numerous calls for this blockade to be lifted once and for all. This latest assault has wreaked further damage to Gaza’s water and sanitation facilities. Fuel and medicine are in critically short supply, and electricity is reduced to a few hours a day, affecting ordinary households as well as compromising the ability of hospitals to treat the many injured, and to care for the most vulnerable people. The current situation in Gaza has overshadowed the backdrop of heightened tensions in the occupied West Bank, including East Jerusalem. On 12 June, three Israeli teenagers went missing near Hebron, and were subsequently found murdered. Since then, more than 1,200 Palestinians have reportedly been arrested with some placed in administrative detention; Israel has carried out extensive operations where homes and offices have been raided and property damaged; the Israeli authorities have also resumed a policy of carrying out punitive house demolitions, and nine Palestinians have been killed in incidents involving Israeli security forces, raising serious concerns of excessive use of force, especially in the context of demonstrations against the military operation in Gaza. In addition, I am concerned about reports of a significant rise in incitement to violence against Palestinians, including through social media. On 2 July, a Palestinian teenager was beaten and burned alive in Jerusalem amidst an atmosphere of revenge and incitement to violence. The killings of all four teenage boys were abhorrent and those responsible must be brought to justice. However, only those responsible for these criminal acts can legitimately be punished. Individuals may not be punished for offences they have not personally committed or be made subject to collective penalties. Israel holds obligations as an Occupying Power. For Palestinians in Gaza and in the West Bank, including East Jerusalem, the current reality is not just one of repeated conflict but also one of protracted occupation, with insecurity and a constant daily struggle for human rights, in particular the right to self-determination. In Gaza, the blockade and Access Restricted Areas continue to undermine the human rights of the population. In the West Bank, ever expanding illegal Israeli settlements; settler violence; demolitions of Palestinian homes; the Wall and its associated regime; excessive use of force; and large scale detentions of Palestinians are some of the ongoing, routine abuses and human rights violations committed against the occupied population. The scenes we witness from afar, here in Geneva or around the world, via the 24-hour news channels and social media, provide only brief glimpses of the daily reality of conflict for Palestinians and for Israelis. A seven-year old Palestinian child in Gaza has never known life outside occupation and is already living through her or his third experience of a major Israeli military operation, including the so-called operations ‘Cast Lead’ in 2009 and ‘Pillar of Defence’ in 2012, with all the unimaginable death, destruction, terror and the life-long consequences that they inflicted. Both Palestinians and Israelis deserve better than a life of chronic insecurity and recurring escalation in hostilities. The continued failure to properly ensure accountability on both sides following earlier escalations of hostilities in Gaza is of serious concern. The culture of impunity for alleged violations of international law invites further transgressions and the victims of the past become victims again. War crimes and crimes against humanity are two of the most serious types of crimes in existence, and credible allegations that they have been committed must be properly investigated. So far, they have not been. According to local human rights groups, despite numerous allegations of serious international crimes, only four Israeli soldiers have been prosecuted and convicted for three incidents that occurred during Operation ‘Cast Lead’. One of the convictions was for stealing a credit card. And the other three soldiers, convicted of more serious crimes, received extraordinarily light sentences. In April 2013, the Military Advocate General issued a public document indicating that it found no basis for opening criminal investigations into approximately 65 incidents involving the Israel Defense Force during the 2012 operation known as ‘Pillar of Defence’. With respect to rocket and mortar attacks from Gaza, information available also indicates that no adequate measures have been taken to carry out effective investigations into alleged violations. I, and my predecessors and successors as High Commissioner for Human Rights, can only offer the facts, the law, and common sense. This we have done, and — I am sure — will continue to do, however much we are criticized for it. We, as the International Community, the United Nations, the Human Rights Council, States, and as human beings, are obliged to do everything in our power to protect all civilians and ensure that human rights are respected, protected and fulfilled worldwide. In Israel and Palestine, the politics of conflict, peace and security are constantly leading to the downgrading, or setting aside, of the importance of binding international human rights law and international humanitarian law. International law is not negotiable. No individual or state can be considered exempt, if they violate the law. I hope that the parties will respond positively to the visit of the Secretary-General to the region and his call for an immediate ceasefire. But what must we finally do to move beyond a ceasefire that will inevitably be broken again in two or three years, leading to yet more dead civilian men, women and children? Accountability is the first step towards ensuring that the cycle of human rights violations and impunity is brought to an end. A lasting peace can only begin with respect for human rights and human dignity on both sides, and ultimately, in the full realisation of the right to self-determination. All these dead and maimed civilians should weigh heavily on all our consciences. I know that they weigh heavily on mine. All our efforts to protect them have been abject failures. More powerful entities, such as the Security Council, and individual States with serious leverage over the parties to this dreadful and interminable conflict, must do far more than they have done so far to bring this conflict to an end once and for all.